Whenever I find that there’s an increase in the drama in the doll community, I really like to just take a step back. One of the nice things about it being still primarily a hobby with many online interactions is that it is easy to take a step back. You can stop going on Facebook (or stop notifications from all of those groups! ), you can temporarily block a forum (or permanently block a Tumblr page…) from your web browser, and just stop altogether. It’s easy to take a pause and a break from the go-go-go online world of Blythe. I like to take a moment to myself sometimes, and just have some alone time with the dolls. It’s nice to take a moment to create something for them just because or to have a dolly spa day or change out outfits for fun. Sometimes when I get wrapped up in blog post ideas, I find that every single Blythe photo I took was for the purpose of a blog post and sometimes that’s fun, and sometimes it’s not. I went into the Blythe hobby to enjoy myself, not to make it into a job of any sort. Sometimes it’s nice to make something for Blythe just for fun, not because I’m writing up a pattern (although I do love creating patterns as well, so I guess that’s okay too). It’s important, I think, to reenergize from time to time because it renews your interest and enthusiasm for the Blythe hobby. It’s nice to sometimes just spend some solo time with the dolls, or to create something that’s literally just for you and nobody else. After all, Blythe is a hobby. For some people it is also a livelihood, and I think that’s amazing that they can turn something that they love doing into something that is self-funding and then some. But for me, it is first and foremost a hobby. So sometimes I take a step back, change some outfits, and remember why this hobby is fun. 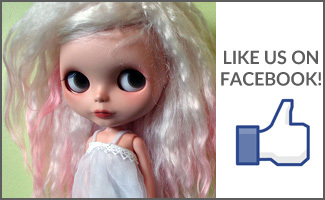 Do you take breaks from the online part of the Blythe hobby? What do you like to do? Oh, heck yeah, I take breaks all the time. I’m actually pretty disconnected from all that seems to be going on in the online community — I don’t ever know who anyone is or what’s going on or anything, and I just have a couple of people in the hobby that I consider friends (although I have no idea if they think of me as a friend). But I like it that way. There’s just no use in steeping oneself in negativity. 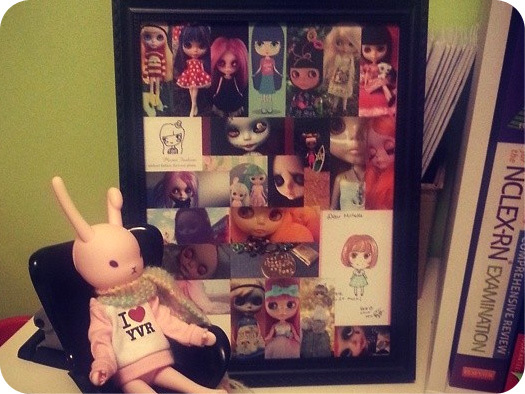 Blythe is a source of joy for me and I don’t like to let anything taint that. 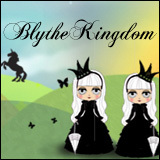 To be honest, I’m not active on any online Blythe communities. I tried it once, but it’s not for me. 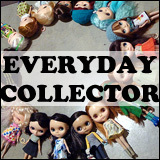 Reading your blog and following certain Blythe collectors on Flickr or Facebook is the most I do on the Internet for things Blythe-related. Those activities don’t take much time, don’t require much interaction and don’t occur on a daily basis. And that’s nice, at least for me, because the Blythe universe doesn’t get boring or tedious. I do need to take a step back once in a while and do something else. I find myself always on the hunt for the next doll or photo and it can get tiring. But it’s a relaxing hobby for me and I don’t usually worry what anyone else is thinking about my dolls or anything like that. A refreshing, well-balanced post. It IS all too easy to get caught up in the hunt for the next doll, take pics with an eye to their reception and spend far too much time online looking for an itty-bitty pair of shoes! Also, following and commenting in all the groups is very time-consuming. Having said that I do thoroughly enjoy being a part of all of this – as I enjoy pottering about on my own spa-ing my dolls. It’s all about balance – something I aspire to ???? I think I may be too new to the hobby, that I haven’t felt a need to take a break. I know that moreso with the bjd community, things can get pretty ugly and dramatic. I’m so thankful I haven’t witnessed or experienced anything like that. Everyone I have met or spoke to about Blythe seem genuinely happy to speak about blythes ^^ and very nice. I do sometimes stop checking fb because it’s hard not to want to expand my dolly wardrobe or family with so many sales posts up.